The floor has been grouted and looks beautiful. 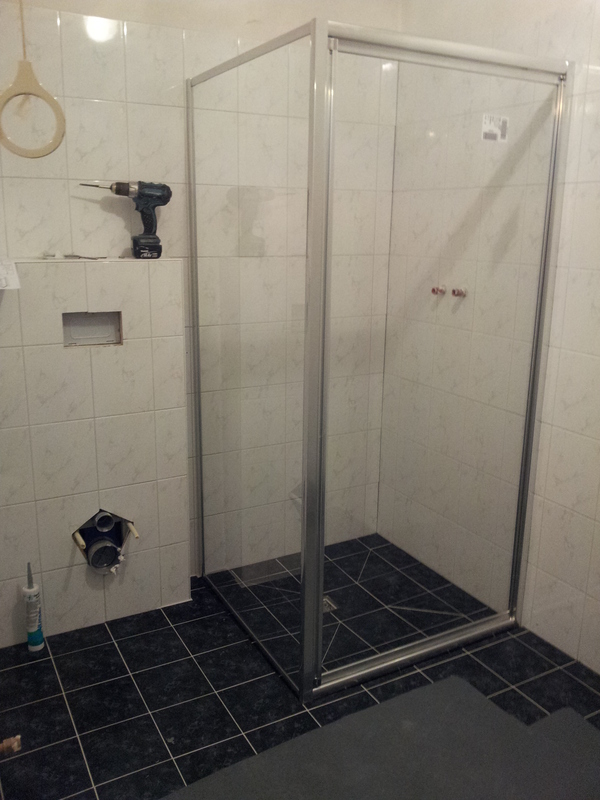 Then the shower cubicle was installed. 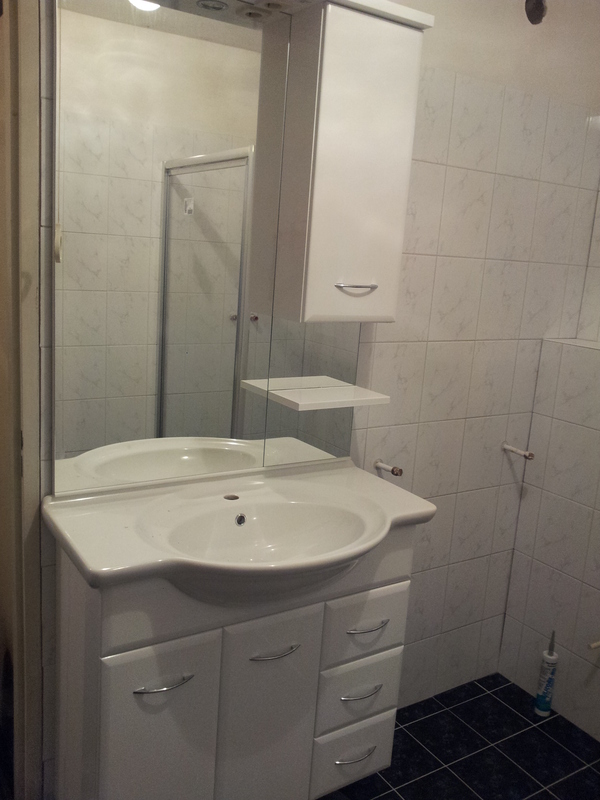 After this Koen put up the sink unit which came in three parts, cabinet, sink and mirror. We’re almost jumping for joy as finally it all starts to come together. All the corners have been sealed to make the room waterproof. Koen was even nice enough to do a small patch on the kitchen worktop which lacked a strip of silicon due to repairs. He has cleaned the upstairs from all the tools being used and only left his radio and the little steps they may need tomorrow. He left his hoover behind so we can use it tonight to get rid of all the grit on the carpet. He had the carpet covered with special sheets to protect it but this stuff just gets everywhere. Tomorrow I will show you the final result and yes, we know we still have to do the painting of the ceiling ourselves and the painting of the door frame. Lee already spraypainted the air vents with white gloss, so these look like new again and it saved us about 30 euros. 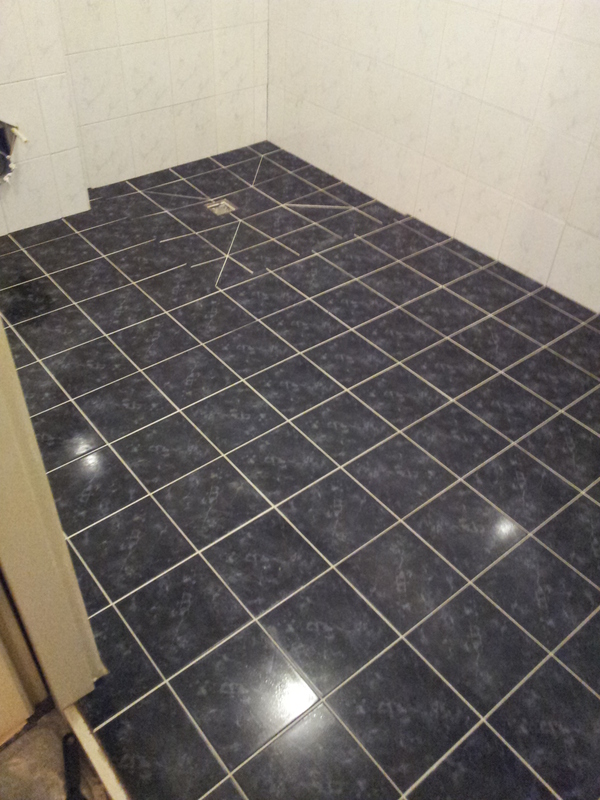 This entry was posted in House DIY, What's happening and tagged bathroom, diy, floortiles, paint. Bookmark the permalink.